Don Rice and his wife, Naomi, were living in a second-story condo when his knee began to wear out. Don’s doctor suggested fewer steps and more walking to strengthen the accompanying muscles. 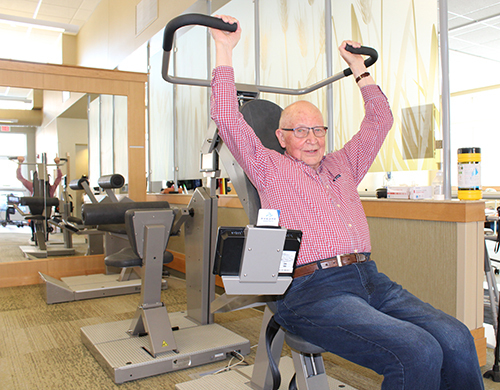 “I was going downhill because I couldn’t get out to exercise,” Don says. The couple decided it was time to move. They knew exactly where they wanted to be – Eventide. Still, they didn’t realize how quickly they would feel safe and comfortable in Linden Tree Circle, Eventide’s assisted living facility. make sure they’re doing okay and that services – like help dressing or bathing – are easily available should they ever need them. 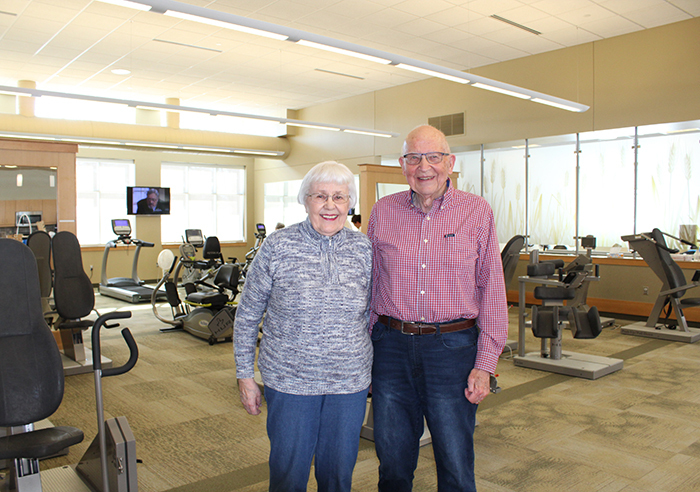 Both of them use the facility’s wellness center. Don rides a stationary bike three times a week. 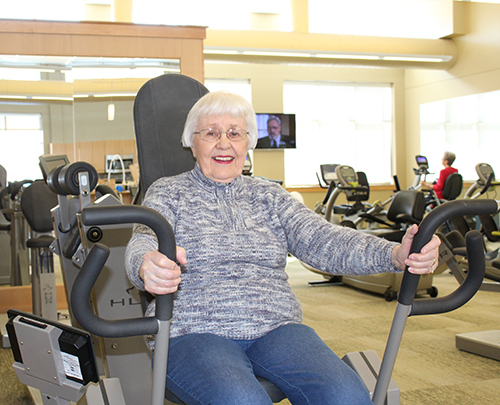 With the help of staff, they’ve been able to personalize their workouts. The couple is involved in activities at their home church in Moorhead. They belong to several community book clubs and regularly attend concerts at Concordia College, a block away. “We’re doing the things that have always been part of our lives,” Naomi says. Naomi taught English and worked for Lutheran Social Services Minnesota with the Unaccompanied Minor Program. Don was an ordained pastor who also worked at Concordia in church relations for 14 years. When they moved into their apartment, they asked if they could swap out the dining room chandelier for something that better matched their style. Maintenance staff happily exchanged the fixture. They also were pleasantly surprised to learn they could have visitors any time of day. A grand-daughter is at Concordia, and they wanted to make sure she could visit whenever she wanted. This summer, the couple plans to spend time at their cabin in the lakes country.